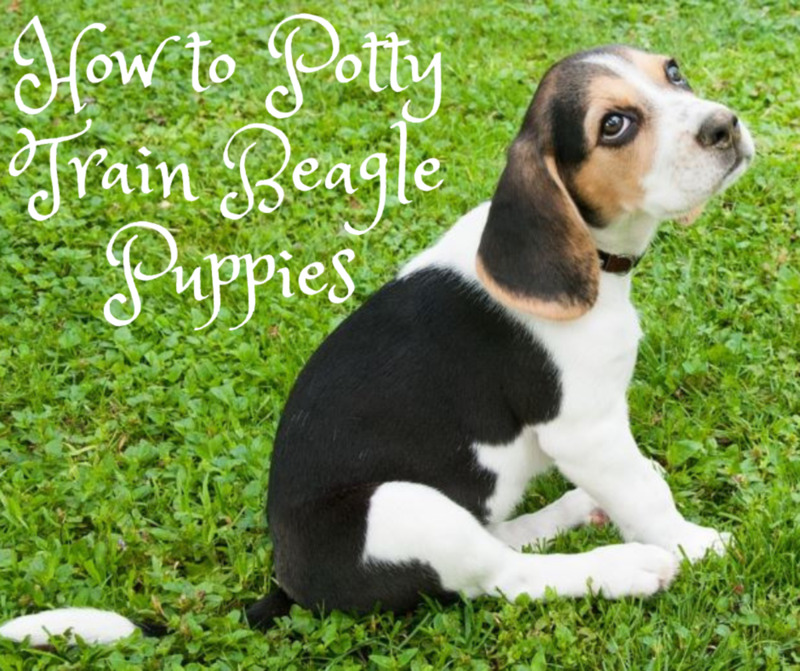 If you are wondering how to potty train your puppy if you work all day, it's important to realize that successful potty training takes time, close supervision, and lots of patience. Forget about potty training systems that promise fast results (like getting a puppy potty trained in under a week). Most puppies take about 8 weeks or even longer to be successfully potty trained even with constant supervision. 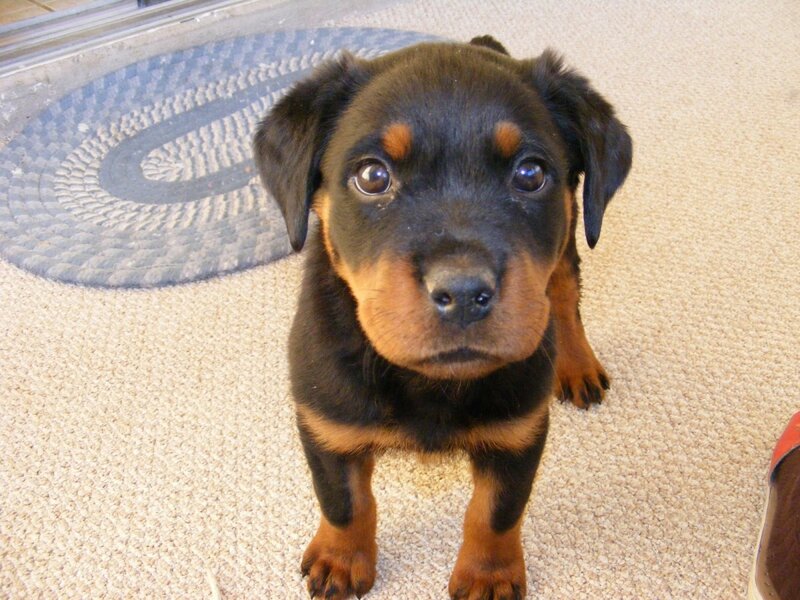 Are You Really Ready for a Puppy? If you are a busy person and do not have a puppy yet but are considering getting one, you will need to carefully evaluate whether a puppy is truly a good decision. You may find that adopting an older dog that is already potty trained is a better option. There are countless potty-trained dogs in shelters and at dog rescues that are desperately in need of a home. 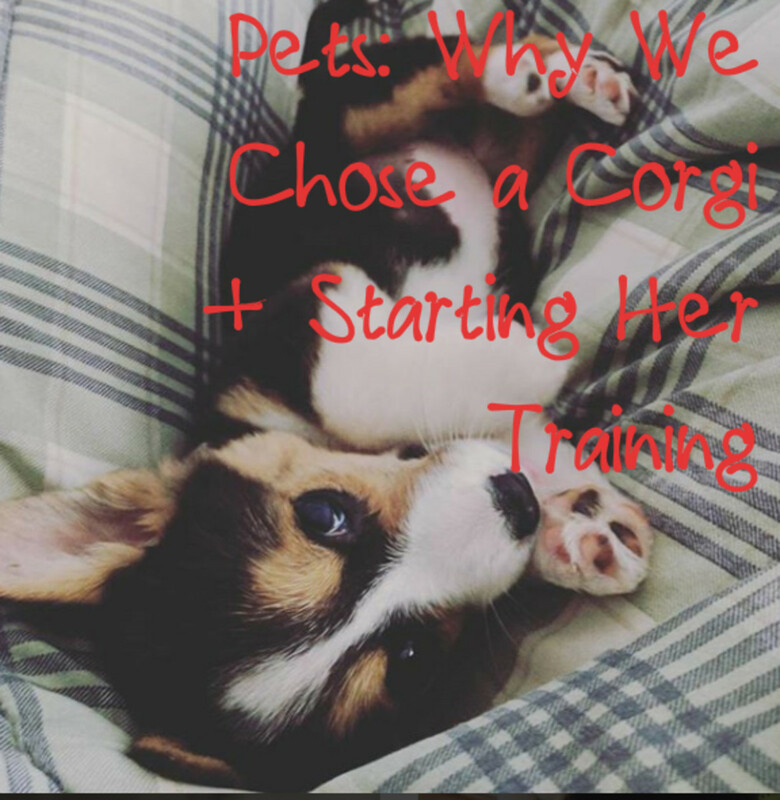 If you work full-time and have your heart set on getting a puppy or already have one, it is still possible to potty train your puppy, but it won't be as easy as it will be for someone who stays at home or works part-time. Below are two solid options for busy pet parents who work full-time. Find a qualified daycare provider who can help you with the potty-training process while you are at work all day. Set up a safe, puppy-proofed area on the floor and cover it with pee pads or newspaper and accept the fact that your pup's potty-training progress might proceed at a slower pace. 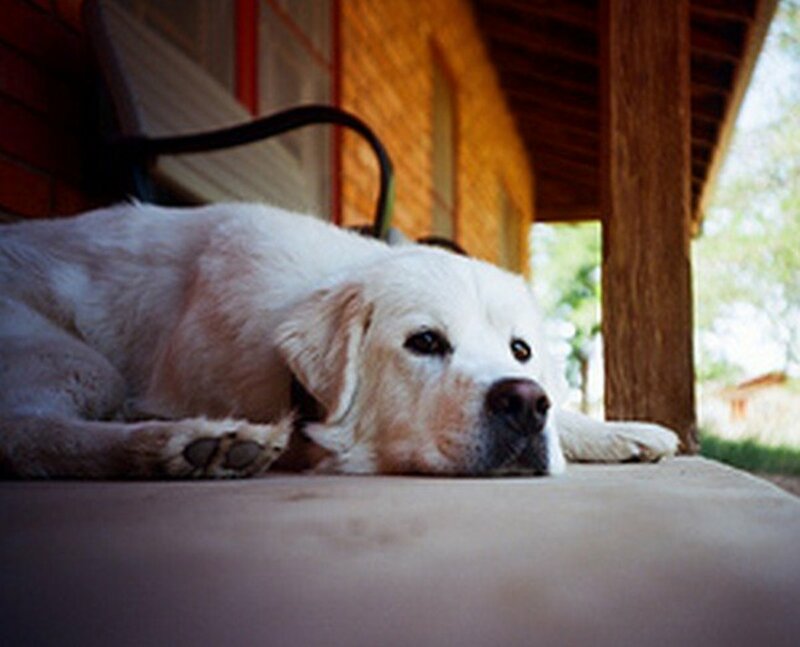 There is a third option as well, which is delegating the pup to a backyard, but these latchkey puppies end up getting into trouble in some way or another. They may ingest things they shouldn't which can lead to upset tummies and even intestinal blockages and expensive surgeries. These unsupervised pups may also rehearse troublesome behaviors such as digging, barking, chewing, or attempting to escape the yard. On top of this, staying in the yard teaches the pup to go potty wherever he wants to and whenever he wants, which prevents him from being successfully potty trained when inside the house. Not to mention, the pup will be vulnerable to theft, poisoning, teasing from ill-minded people, weather extremes, and potentially dangerous critters such as snakes, skunks, raccoons, and even birds of prey. You cannot use a crate to potty train a puppy if you work all day. Crating your puppy for 8 to 10 hours while you are at work will lead to significant problems because this timeframe surpasses the puppy's biological capability of "holding it." On top of that, your pup has other important needs that need to be met. So, unless you have a friend or neighbor that can stop by at several intervals to take your puppy out to potty, walk, socialize, and eat, crate training is not a good option for a young pup. Yes, it is true that the use of a crate in potty training can work wonders because it's the pup's natural instinct to not want to soil where he sleeps, but if you keep your pup enclosed in there for too long, you will break down this natural inhibition. This means you'll have to deal with a very unhappy puppy that is crammed in a crate all day, and on top of that, one that is covered in pee and poo. This is the last thing busy pet parents want to deal with upon returning home. These pups may also resent being closed in the crate due to negative associations (for the sake of comparison, who wants to be stuck in economy class several days in a row for 8-10 hours straight?). Not to mention, your pup will fail to carry over the "clean den instinct" to the rest of the house once he or she is old enough to free-roam. A short-term confinement option made of several outings. 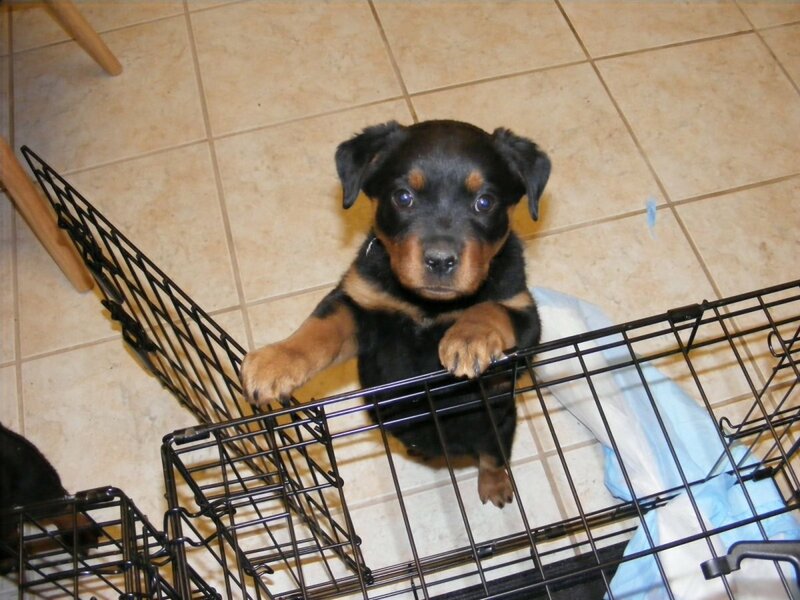 Along-term confinement option where the puppy has permission to eliminate indoors. You can only crate your pup during an 8-10 hour workday if you can arrange for at least two bathroom breaks. One quick run home during lunch won't be enough, at least not until he is five to six months old." 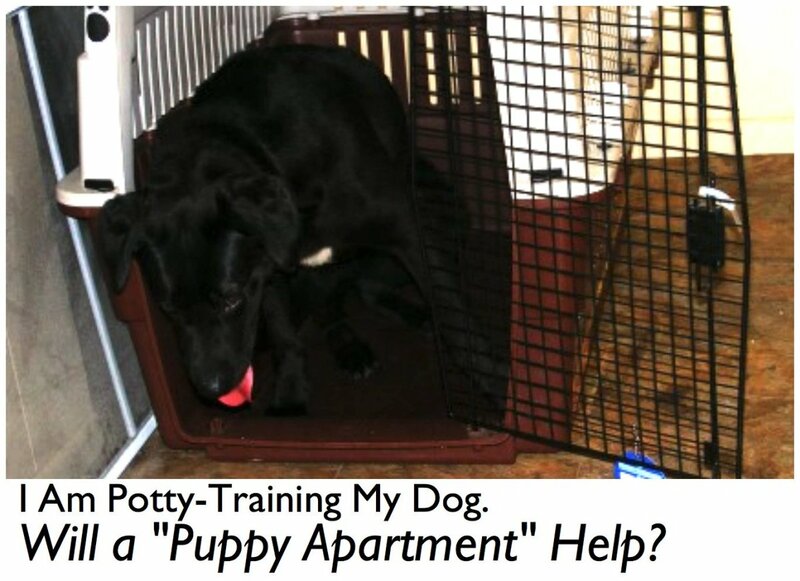 — Pat Miller, "Positive Perspectives 2: Know Your Dog, Train Your Dog"
This option works well for puppy owners who wish to crate train their puppies and teach their pups to go potty outdoors. This option is also helpful considering that young puppies need to be fed three times a day and need to move and stretch their legs for proper development. Pups also need to keep their minds active to allow those little neurons in their brains to create new, important pathways. The puppy should be taken out to potty first thing in the morning before going to work. Feed him breakfast and then take him out once again before being placed in the crate. When placed in the crate, the pup should be provided with a safe chew toy stuffed with treats to keep him occupied. Have a friend, neighbor, relative, pet walker, or pet sitter swing by twice in the day, first during mid-morning to take the puppy out, then out to potty again before noon. Feed the pup his meal at noon and then take him out again after his meal (and hopefully exercise him again). Stop by again in mid-afternoon for another potty break. Although it may turn out to be somewhat costly, an alternative option is taking the puppy to doggy daycare, a place where busy dog owners who work 9 to 5 jobs can take their puppies and dogs. Dogs can be dropped off on the way to work and picked up on the way back. Staff will take the puppy out frequently during the day and will feed him is midday meal. Puppy owners who work all day may also be delighted to pick up a tired pup rather than a puppy who has loads of pent-up energy from being confined for hours on end. It's important to find a reputable daycare that requires proof of vaccination for all of their participants and has strict hygiene measures in place to prevent infectious diseases. 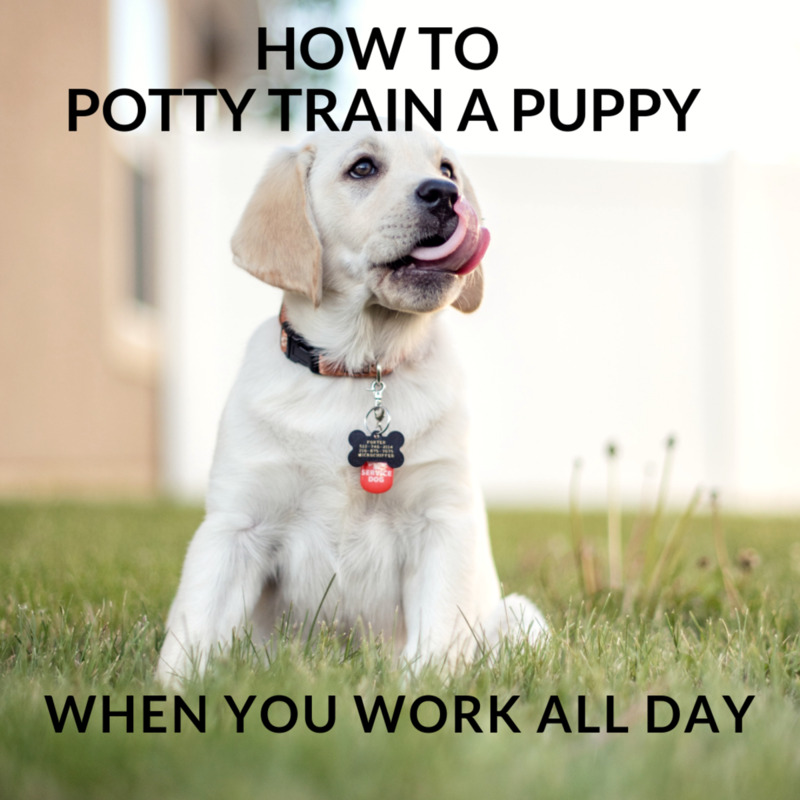 One of the most common ways to potty train your puppy if you work all day is through the use of what Ian Dunbar, veterinarian and founder of the Association of Pet Dog Trainers, calls a "long-term confinement area." A long-term confinement area is a larger area than what is provided by a crate. It allows the pup to have space and to eliminate as needed. It works best for busy pet parents who must leave the puppy for more than a couple of hours. What Is a Long-Term Confinement Area? A long-term confinement area is often comprised of a sturdy enclosure like an exercise pen, also known as Xpen. You can also keep the puppy in a puppy-proofed room such as a kitchen, bathroom, or utility room and close it off with a door, sturdy boxes, or a baby gate. 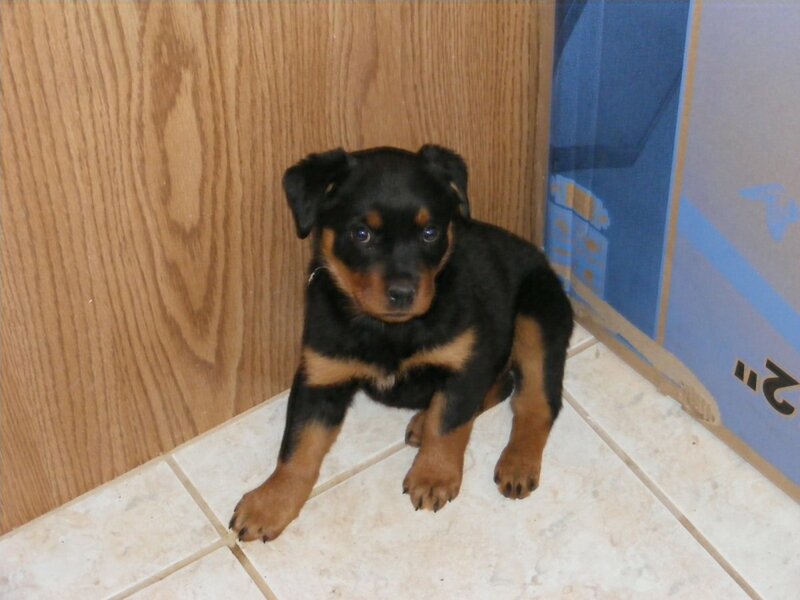 Some puppy apartments are suitable as long-term confinement areas for very small breeds. A long-term confinement area is typically located on a washable surface for ease of cleaning. Tile and linoleum work great. The area should be lined with pee pads or newspaper. Initially, you may find it useful to cover a large percentage of the floor area with pee pads or newspaper to set your puppy up for success. Gradually, you can remove pads and paper until your puppy learns to potty on just a few. Can You Use a Litter Box for Dogs? Some puppy owners like using litter boxes. 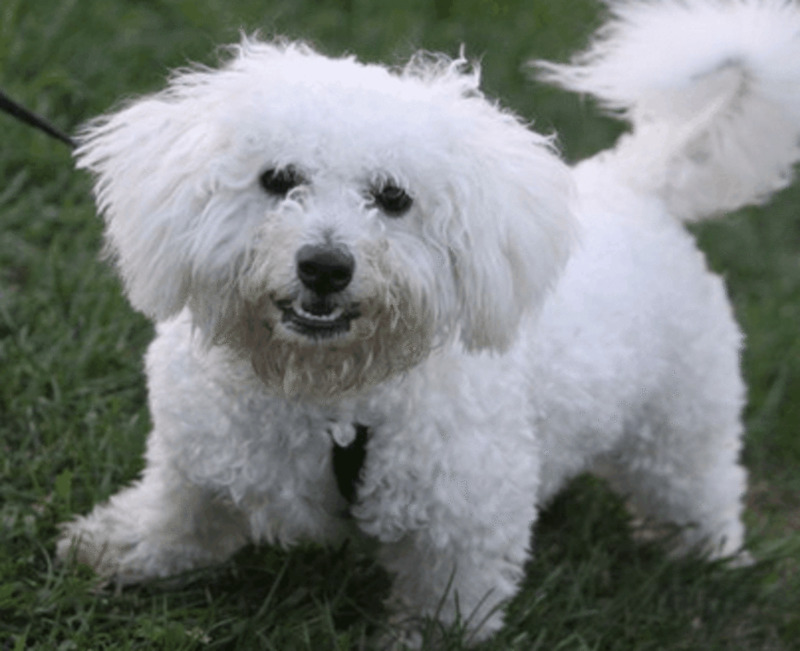 For pups destined to potty outdoors on grass, puppy owners may use litter boxes with fake or real grass so that the pup develops a substrate preference for grass. Tip: Keep your puppy's food and water in one area and some interactive, safe toys and their bed at the farthest corner away from the potty area. By nature, puppies (other than store-bought puppies or puppy mill dogs) are reluctant to potty near where they eat, play, or sleep. Newspaper training a puppy may seem like an economical solution, but its main drawback is the fact that at some point you may have to teach your pup to no longer potty on papers. This can be confusing because at first you have been teaching your pup to pee on newspaper indoors, but then you will be telling him that this is no longer okay. Sure, there are pups who have been successfully trained to go both indoors on paper and outdoors on grass, but going indoors might not be feasible when pups develop into large dogs and create lake-size puddles of pee. It helps prevent accidents around the house. 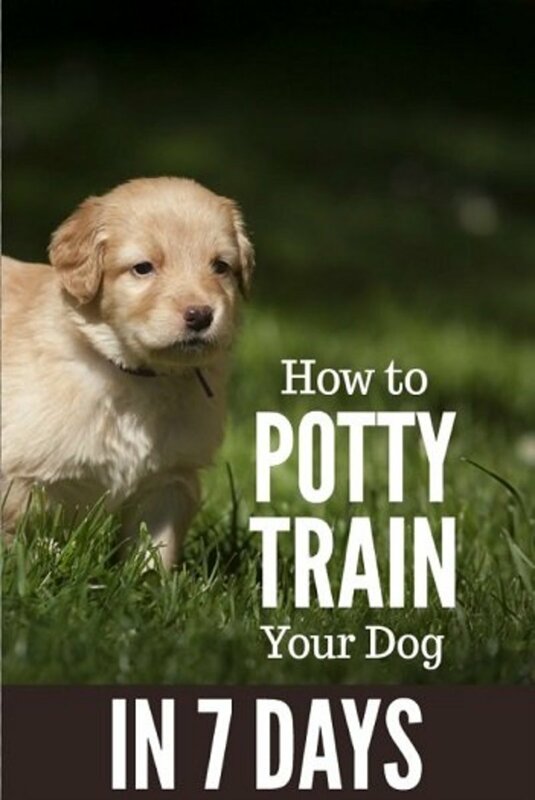 It will help the pup learn to use a designated indoor area to potty. It provides more room for the pup to stretch and walk around. Because the pup goes potty indoors, he may come to learn that it's acceptable to do so. Since the pup goes potty when he needs to, he won't learn how to "hold it" in the same way that crate-training teaches. You have given nice options in this article. I have always used newspaper method in a large confinement area. The trick is that I keep reducing the newspaper coverage as the time goes by. The pup, now totally anchored on peeing and pooing on newspaper has a gradually decreasing newspaper coverage area within the confinement area. Then the coverage is almost left in a small corner. Finally, I move the newspaper out in the backyard in a bed or so. The pup uses it only symbolically. It starts associating newspaper patch with soil. This method has not failed me yet. But then who knows. That is wonderful that you always had someone at home to care for and train your puppies while you were at work. Pups in busy households struggle due to lack of guidance and this can put a dent in their progress. Thank you for covering this important topic so well, Adrienne. I've been very lucky because there has always been someone at home to train and care for my puppies when I've been at work. Training them without this support might have been difficult, but you've shared some good suggestions about how to do it.